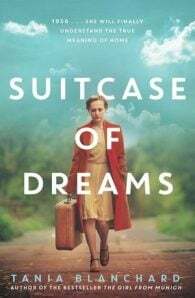 After enduring the horror and chaos of postwar Germany, Lotte Drescher and her family arrive in Australia full of hope for a new life. It’s a land of opportunity, where Lotte and husband Erich hope to give their children the future they have always dreamed of. After years of struggling to find their feet as `New Australians’, Erich turns his skill as a wood carver into a successful business and Lotte makes a career out of her lifelong passion, photography. The sacrifices they have made finally seem worth it until Erich’s role in the trade union movement threatens to have him branded a communist and endanger their family. As the shadow of the Vietnam War looms, the unexpected arrival of her former fiance Heinrich forces Lotte to a turning point. Her decision will change her life forever – and to finally understand the true meaning of home. Tania Blanchard was inspired to write by the fascinating stories her German grandmother told her as a child. Coming from a family with a rich cultural heritage, stories have always been in her blood. Her first novel published by Simon & Schuster Australia, The Girl from Munich, was a runaway bestseller, as was the sequel, Suitcase of Dreams published in 2018. Tania lives in Sydney with her husband and three children and is working on her third novel, Letters from Berlin, to be published in 2020.